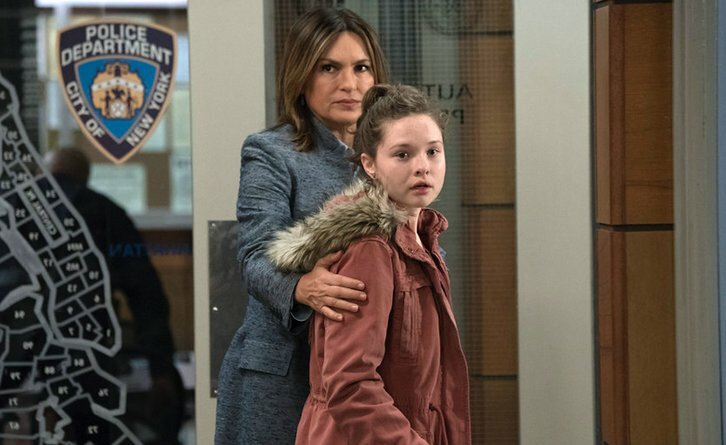 01/31/2019 (10:00PM - 11:00PM) (Thursday) : Benson (Mariska Hargitay) tries to help two teenaged sisters after their father is killed. Meanwhile, Rollins (Kelli Giddish) goes into labor. Also starring Ice T, Peter Scanavino and Philip Winchester. Guest starring George Newbern (Dr. Al), Talitha Bateman (Laura Moore), Alex Kramer (Greg Callahan) and Zoe Colletti (Britney Moore).